Drug Alcohol Treatment Center Orange County - Blog: Synthetic Marijuana, Now Deadlier! Most Americans know by now that synthetic drugs, notably K2 and Spice which are a favorite brand of synthetic cannabinoids, are hazardous. These types of drugs are a mixed bag; there is no way for anyone to know (exactly) what they are smoking or ingesting. The people making synthetic drugs are continually altering the formula and adding adulterants; as a result, the side effects of using these types of substances change regularly. People who use synthetic marijuana are at a significant risk of injury and death. It is vital that anyone using synthetic drugs stops immediately; those who have never used these dangerous chemicals should avoid them at all costs—initiation is not worth the inherent risks. Recently, synthetic marijuana made the news again after the Centers for Disease Control and Prevention (CDC) issued a warning about products containing the presence of brodifacoum, a vitamin K-dependent antagonist. Brodifacoum is a chemical in rodenticides; so naturally, nothing good can come from human exposure. Since March 3, 2018, Illinois state health departments have reported 202 cases of synthetic marijuana user exposure to brodifacoum; five people have died in the state due to the tainted fake weed. According to the CDC, Maryland has reported 20 cases; Florida, Indiana, Kentucky, Missouri, Pennsylvania, Virginia, and Wisconsin have reported six or fewer cases per state. People do not use synthetic cannabinoids. Synthetic cannabinoids are always dangerous because it is impossible for people to know what chemicals are in the product, how much they are being exposed to, and how their body will react to the chemicals. The synthetic cannabinoid products associated with this outbreak are especially dangerous because they contain brodifacoum, a chemical used as rat poison that can cause uncontrolled bleeding. 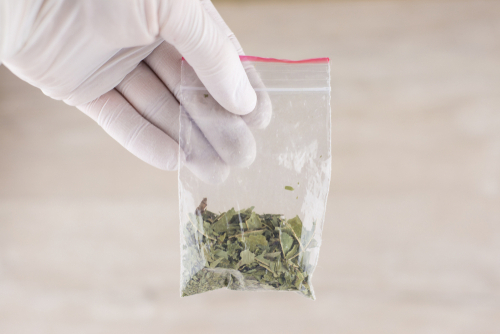 People who have used synthetic cannabinoids in the past three months and are concerned about their health should contact their healthcare provider. Synthetic cannabinoids users who develop any unusual bruising or bleeding should seek medical attention immediately. On top of being harmful to your physical health, synthetic drug use can be habit-forming and lead to addiction. If you are unable to stop using synthetic marijuana on your own, please contact Hope By The Sea. Our highly skilled team of professionals can teach you various ways of coping with life on life's terms, without having to rely on mind-altering substances.